Universidad de Puerto Rico (2010-2011) 2010, 35 mm photographs. On April 21, 2010, the General Student Council of the Río Piedras campus approved to strike against the administration's plan for an $800 tuition increase. Soon after, the other 10 campuses that constitute the University of Puerto Rico joined the halt. At UPR Río Piedras the students barricaded the gates occupied the facilities and inhabited the University in the wait of new negotiations. The students controlled access with posts through out the 280 acres, allowing access only to supplies. The indefinite strike lasted 59 days. This series is the end result of photos taken by students under the artist's request inside the UPR Río Piedras locked campus. 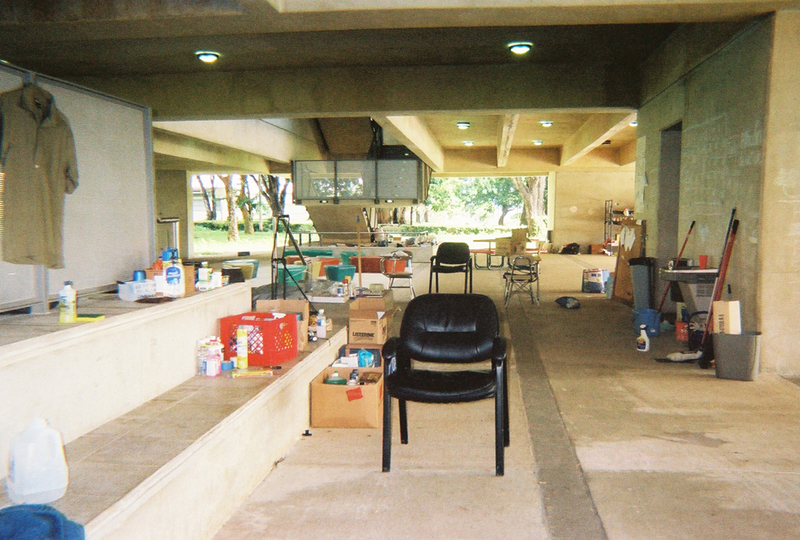 On December 9, 2010, the Puerto Rico Police entered the premises of the UPR Río Piedras after violent confrontations with the student body at their rallies. It was their first presence on campus since 1971, when the deaths of two police officers and a student -along with a female student the year before, brought an institutional agreement to resolve conflicts without involving the police to avoid on-campus violence. Days prior to the occupation, the administration ordered to take down the gates on campus. The tactical force police occupied the public institution until mid February 2011. By May protests had dissipated. Ever since the tuition hike was implemented and police keeps an active presence on campus. 9 Policemen, 3 Policemen and 16 Policemen, 2010, 35mm photographs taken by the artist.